It is best practice to use a thermostat that matches the sensor activation temperature on the wiring kit you have purchased. 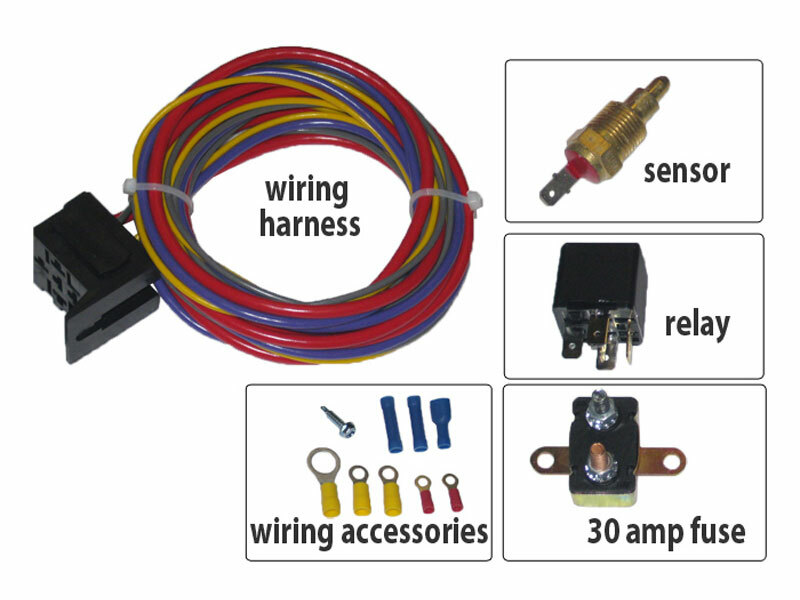 For example, we sell a wiring kit that has 185/170 temperature sensor (illustrated below). This item will activate fans @ 185 degrees. Running this item with a 185 thermostat would match the activation temperature of the of the sensor and allow the fans to kick on when above 185. Issue: Many vehicles come with a 195 degree stock thermostat. Running this item with a 195 thermostat would result in the fans being on at all times. Why? The vehicle will be maintaining a 195 degree temperature and the sensor will then think the vehicle is hot at all times and keep the fans kicked on. This presents an issue. Why would you need a sensor wiring when the fans would be on all the time? Answer: you would not! If you will stick with a stock 195 degree thermostat, then you will not need this type of wiring. 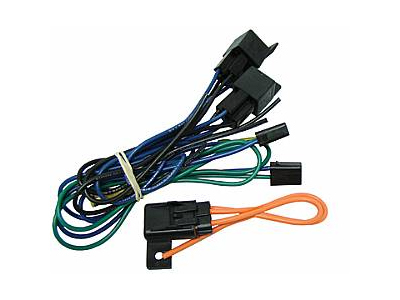 You can then just use straight single or dual relay wiring as pictured below. If one wanted to stay with a 195 degree thermostat, they can swap the sensor in their wiring to a high activate temperature. 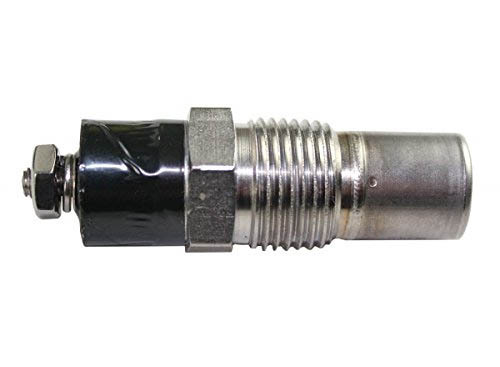 below is a picture of a sensor that is set for 195 degree activation.